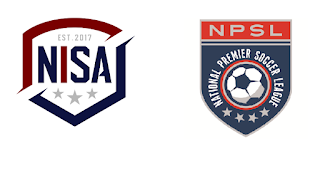 Yesterday our friends at Supporter Groups for Promotion and Relegation ran a poll asking about fan engagement concerning the NPSL playoffs and promotion to NISA. Would you pay more attention to NSPL playoff matches if NISA promotion was on the line? The results (while unscientific) show that many people would pay even more attention to the matches during the playoffs if more than a trophy was on the line. 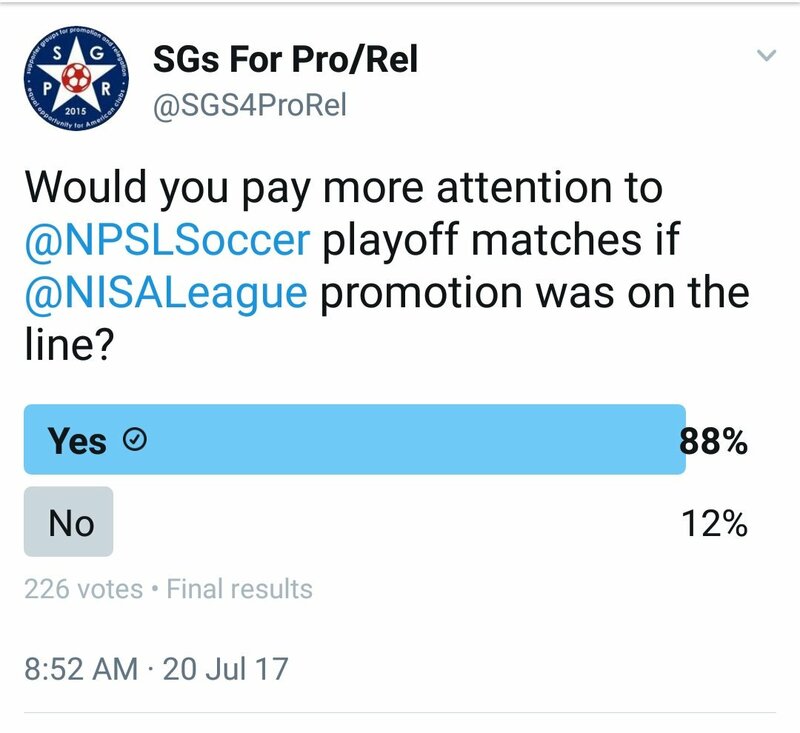 This results goes hand in hand with what many people have speculated about fan involvement in lower division soccer and #ProRelForUSA. If the clubs are playing to move up the pyramid… a vast majority of fans will care more and pay more attention to these games “that matter” not just the fans of the specific club playing for the trophy. 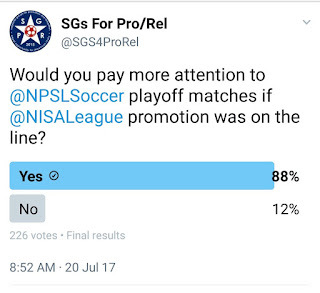 Polling data like this suggests that it is in the best interests of lower division club owners to put their league loyalty aside and create a unified pyramid of regional leagues featuring #ProRelForUSA. The more engaged fans of lower division soccer are… the better off everybody in lower division soccer will be. As the saying goes, “A rising tide lifts all boats”.